You may already have a pretty good idea of what pleated shades look like, based upon the name alone. They look a lot like honeycomb shades, without the additional layer of insulation. Before getting into the pros and cons of this style of window covering, the first thing that you should be thinking about is which company you want to call on for pleated shades in Charlotte. A common mistake consumers make is thinking that all window treatment companies are created equally. Yet our clients know what makes our Charlotte window blind company the local leading service provider for pleated shades, and other choices for window coverings. At Sweet Shutters and Shades our team of experienced professionals know this industry and genuinely care about the customers we work for – it is as simple as that. One of the most important parts of the job is making sure that our clients understand the variety of options they have available when shopping for window treatments in the Charlotte area. How else can you possibly make just the right choice, if you are uninformed about the possible selections you have? Let us set up a time for your free in-home consultation, so we can further review the exciting world of window dressings there are. The cost is a big factor. With window covering options often being rather costly, it is good to find a quality one that is more economical. This would be the more budget-friendly alternative to honeycomb shades. 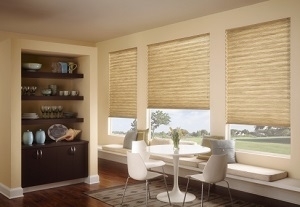 Contrary to popular misconception, pleated shades are actually available in a wide range of color choices. While often depicted as just white, you have plenty of other hues to select from. This is also a smaller stack height than a lot of other window covering options, including cellular shades. This is perfect for someone looking for as much unobstructed view as possible. This window treatment also comes with the option of no cords, making it safer for homes with children or pets. Better to take safety precautions and opt for cordless shades that will not pose a threat of injury or strangulation. 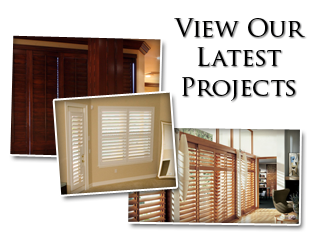 Make the smart choice and call on Sweet Shutters and Shades for the finest in quality results and pleated shades in Charlotte. Our team of experts is ready, willing and more than capable of helping you decide if pleated shades would be right for you. Let us provide you with a final look that will go above and beyond your expectations. 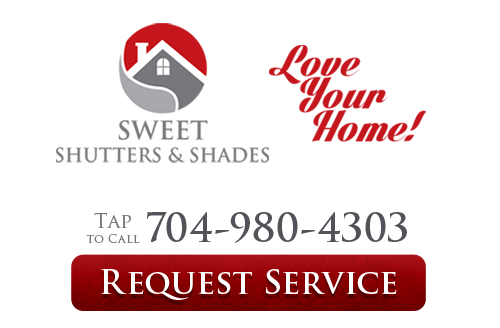 If you would like an estimate for custom pleated shades in Charlotte, NC or the surrounding areas, please call Sweet Shutters and Shades at 704-980-4303 or complete our online request form.